Hi! I am Alexis, and the blogger behind A Double Dose. 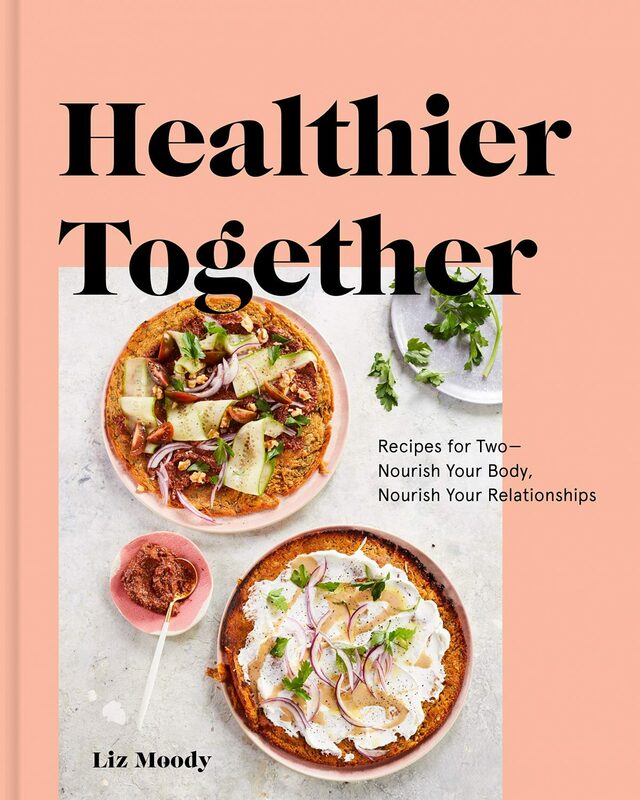 I am an identical twin who has a passion for cooking, fashion, and healthy living. After graduating from the University of Texas at Austin, I worked in public accounting for a little while before deciding to pursue my passions along with my twin sister, Samantha. I have a major sweet tooth, so I love baking and coming up with healthier alternatives to my favorite sweet treats. After being diagnosed with Hypothyroidism almost three years ago, I became passionate about healthy eating and fueling my body in a healthy way. It led me to eating grain and gluten free, and ultimately launching two food products: Double Dose Bakery and Simply Stacked. When I am not cooking or eating, I love putting outfits together and decorating spaces. 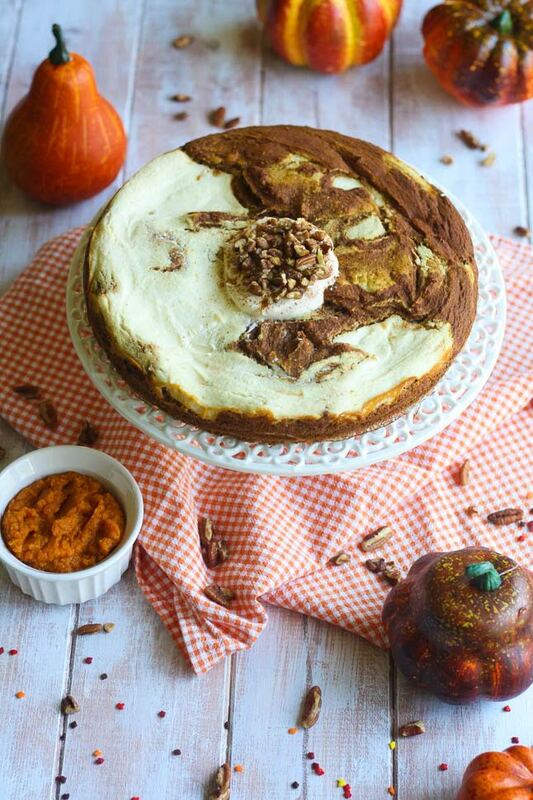 This pumpkin swirl cheesecake is everything and more. 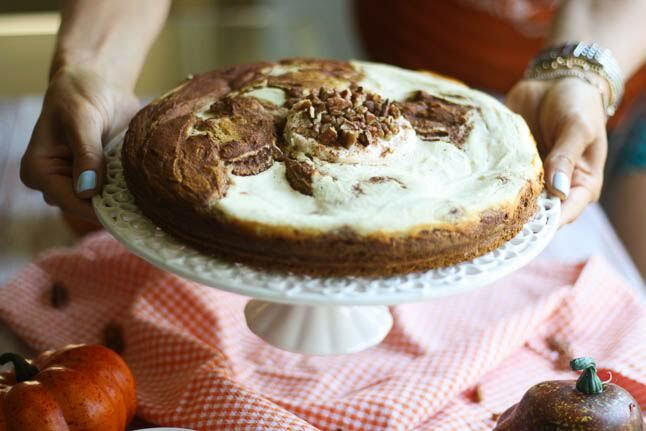 It combines creamy and rich cheesecake with fluffy pumpkin spice cake. You can eat it for breakfast, dessert, a snack, or really any time of day. Even better, you get two desserts in one. 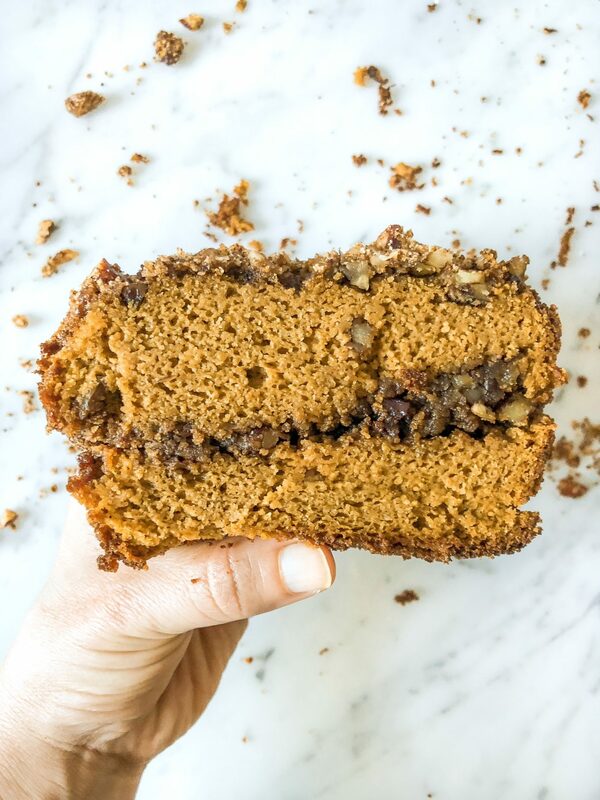 Even if you’re not a pumpkin lover, you will love this cake. It has the same kind of flavoring as a carrot cake, so it will be love at first bite. 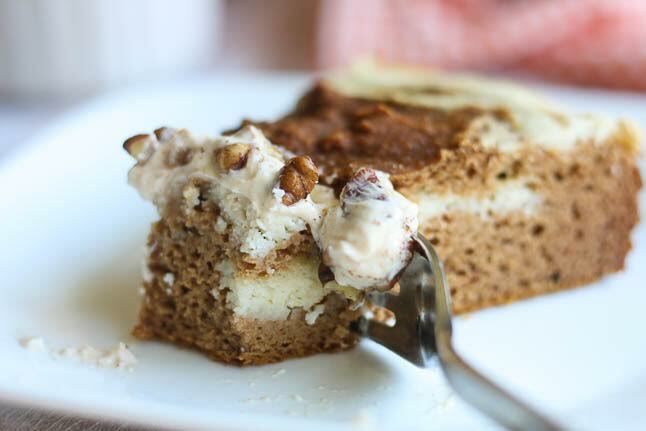 Made with natural, clean ingredients, this cake is low in carbs, gluten and grain free, and high in protein. Spray a 9-inch springform pan with nonstick cooking spray. 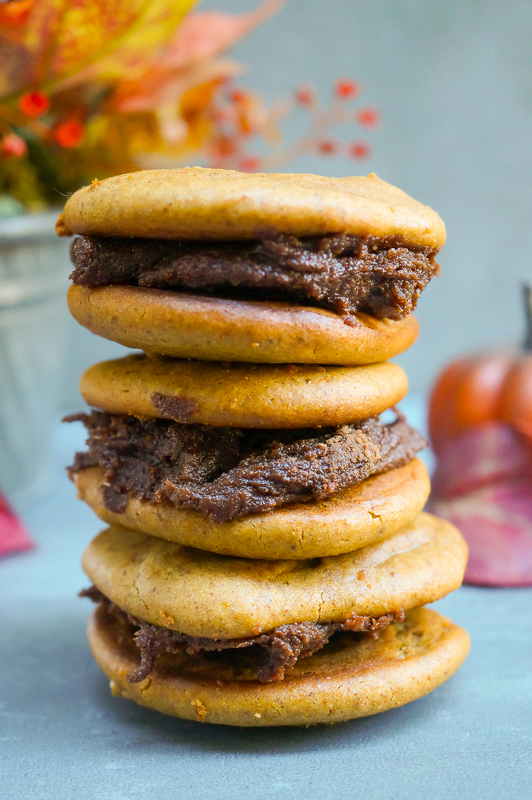 In a large bowl, whisk the the coconut flour, vanilla protein powder, baking powder, baking soda, cinnamon, and pumpkin pie spice. Add in the eggs, almond milk, pumpkin puree, and vanilla extract. Whisk until there are no lumps. In another bowl, combine the yogurts, egg, and coconut flour. Using a handheld or stand mixer, beat the yogurt mixture together until smooth and creamy. Add in the pumpkin pie spice and set aside. Spread 3/4 of the pumpkin batter into the springform pan. Repeat with the remaining pumpkin batter, but do not swirl the batters together. Place pan in the oven and bake for 45-50 minutes. Cover the pan with foil halfway through baking to prevent the cake from burning and over-cooking. Let the cheesecake cool for at least a few hours before placing in the fridge. 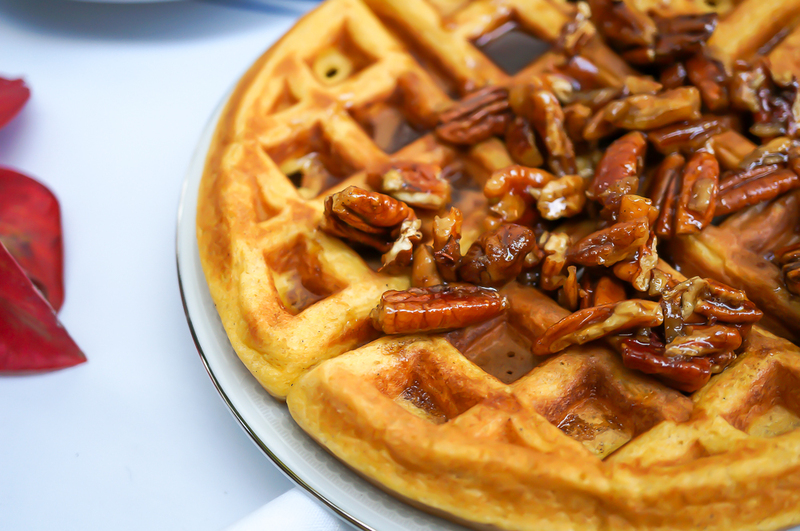 Top with pumpkin spice yogurt and chopped pecans. Notes: You may replace the protein powder with 1/2 cup of oat flour, but you may need to adjust the liquid amounts. Store cheesecake in fridge for a couple of days. Slice and enjoy!